Many web app rely on ctrl+click (typically for multiple selection). There is little use for this combo (mice have 2+ buttons and trackpad emulate right-click with two-finger click or clicking in the right zone). Can it be done in OS X Mavericks? This question has been asked before for Lion and answered negatively (i.e. a third party utility is needed). Has this improved for Mavericks? There is no system supported method for disabling ctrl+click from functioning as a secondary click in Mavericks. 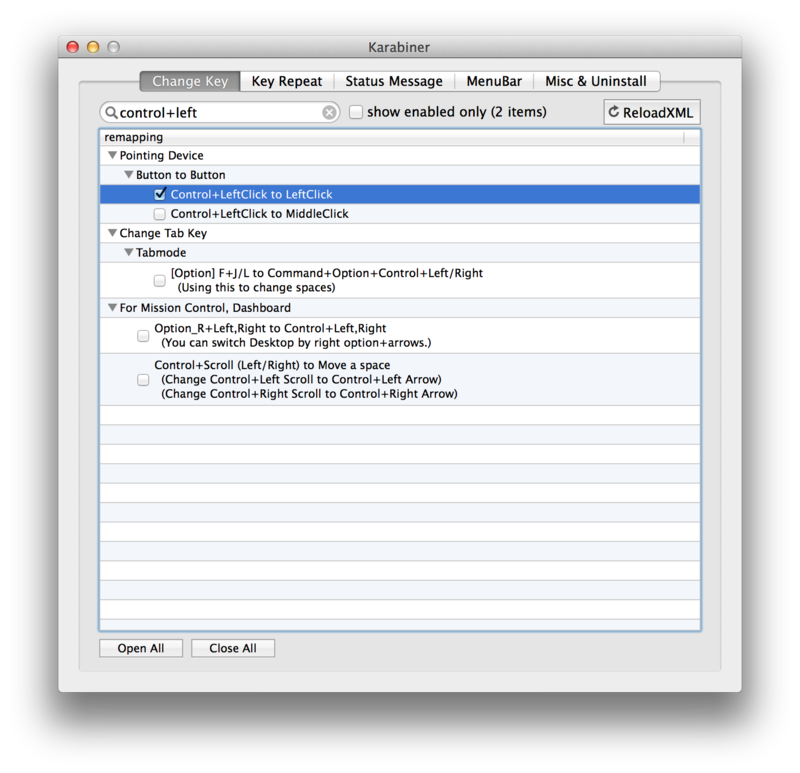 You can use Karabiner to remap "Control+LeftClick to LeftClick," which essentially disables this behavior system-wide. You can also remap it to just about anything you like. However, I don't know of any web apps (and certainly not most or many) which don't recognize and respect Command+LeftClick as a way to multi-select. That is the standard for Mac OS X. In my VMWare Windows 7 guest, I have found (after reading this post) that using Ctrl+Command+LeftClick works the same as Ctrl+LeftClick would in a hardware Windows machine. I found that I can use Option+Command in lieu of Control when using online Flash training applications (I'm using 10.8.5 Mountain Lion). This works for me using parallels with Windows 8.1, I haven’t personally come across web apps that use this, so I can't test this. Right click actually emulates control+click due to the history of apple sticking with a single button mouse for so long, thus the context menu used the control click method, plus Mac OS X doesn’t have a context key on the keyboard like Windows Keyboards (located on the right side of the main keyboard, in-between the control and alt (alt GR) or windows keys). Option+Command+LeftClick, recommended by mvreijn for VMware Windows 7 guests, works quite nicely in Citrix connections to Windows 7 machines. click ok then youre done! 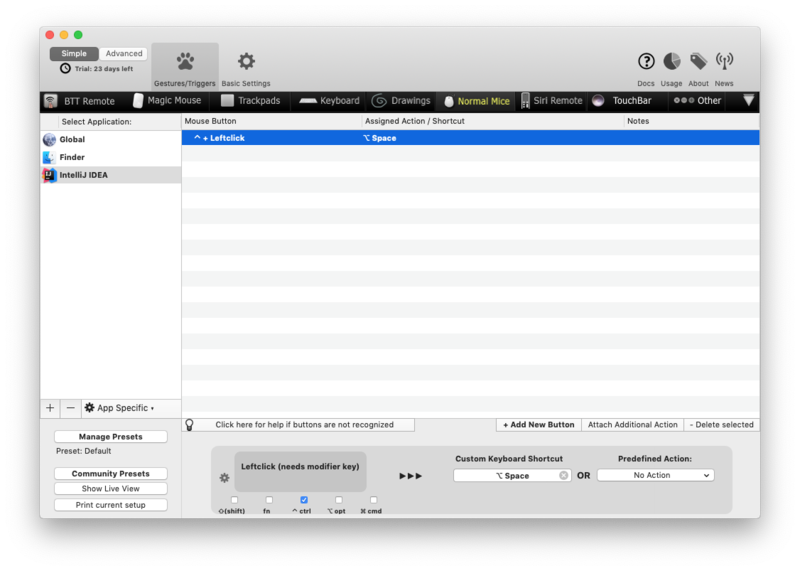 In System Preferences->Keyboard->Modifier Keys, you can change the function of the keys. If you switch cmd with ctrl, ctrl will work with applications as ctrl without the right click. Not the answer you're looking for? Browse other questions tagged macos keyboard mavericks mouse . How to make right click using keyboard? How to disable middle click paste Mavericks Terminal? Why can't I left click on my Macbook Pro?